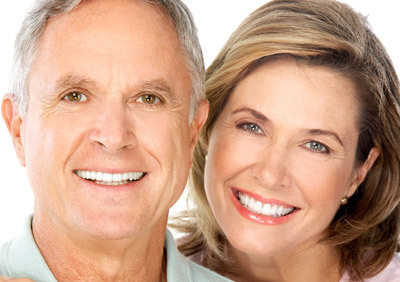 5 out of 5 stars based on 12 Dental Implants reviews. When I returned for my second visit, it was like approaching friends I had not seen for a couple months. No anxiety over the procedure. My first surgery recovery was so mild I went to work around noon the next day. My second surgery results were similar. No surprises. I have one small procedure to go and have no reservations about it. Overall, this experience on a one to ten scale was a ten. I must also say that the staff is absolutely excellent in their competency, social skills, and outright friendliness. This office is an example of what all Doctor Offices should be like. Thank you for being a great part of our community. Excellent. The best Dr in Town. I highly recommend Dr. Krueger as an oral surgeon. I love how Dr. Krueger talks to me while he is working always reassuring me that Im doing good Im an extremely nervous person with shots and he helps quite a bit by just doing something as simple as that. Thank you Dr. Krueger....You're the Best! Very satisfied with procedure results. Minimal discomfort. Will gladly recommend to friends. Having Dr. Krueger call me personally several hours after my extraction and implant placement was more than I expected. It was a personal touch that I wont forget and a business practice that other medical professionals would be wise to use as well. Dr. Krueger and his staff made a very uncomfortable situation very easy for me. They were comforting and supportive during my procedure and though my anxiety level was very high,they made every effort to encourage me and keep me comfortable. Should the need arise for Dr. Kreugers services again, I wouldn't hesitate to see him again.He and his staff are true professionals and a credit to their practice..
Ditto of what I wrote in the "Additional Comments" above. My procedure went off without a hitch .... and am thrilled with the end result. Dr.Krueger & his staff were incredibly caring! I recommend them HIGHLY! Patient Review By Delona F.
The whole procedure was much easier than I had imagined. I was pleased with all staff and Dr. Krueger...Getting flowers delivered to my home the day of my implant was certainly a nice surprise and totally unexpected. Thankyou! !